This category is about travel. Home2 Suites by Hilton Destin has opened at 14060 Emerald Coast Parkway in Destin, Florida. The extended-stay, pet-friendly hotel has 112 suites, complimentary breakfast, free Wi-Fi, Spin2 Cycle, a combined laundry and fitness area, Home2 MKT for grab-and-go items, an infinity saltwater pool and a barbeque grill area. The hotel is owned by CM Destin and managed by McNeil Hotel Company. 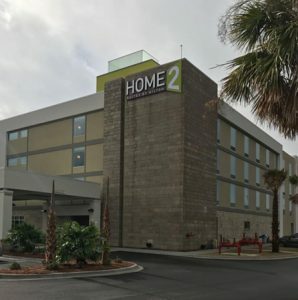 Home2 Suites by Hilton Destin is two miles from Big Kahuna’s Water & Adventure Park, three miles from Destin Commons, seven miles from Silver Sands Premium Outlets and 16 miles from Elgin Air Force Base. MGM National Harbor in Oxon Hill, Maryland, held its grand opening on December 8, 2016. The event included appearances by Sarah Jessica Parker, who greeted fans and signed autographs at her shoe store SJP by Sarah Jessica Parker, her first permanent retail outlet. Celebrity chefs José Andrés, Marcus Samuelsson and brothers Bryan and Michael Voltaggio, who all have restaurants at the resort, also attended. Performances at the grand opening included those from Blue Man Group, Cirque du Soleil artists and dance group Jabbawockeez. Here’s an overview of the $1.4 billion property from MGM Resorts International. Architecture. Inspired by the site’s high-profile hilltop and waterfront location where Maryland, the District of Columbia and Virginia come together, architect HKS Hospitality Group sought to design a monumental landmark that embodies the strength and timeless qualities of the Capital’s architectural legacy. Rising 24 stories, the hotel tower’s angled and knife-like edge recalls the strong vertical form of the Washington Monument. The tower is rotated 33 degrees from the project’s axis to be parallel with the National Mall, deepening the relationship between the site and the heart of the District. Accommodations. 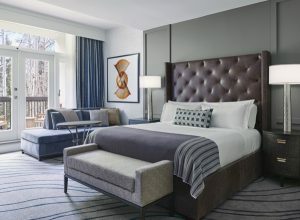 Designed by Studio Gaia, MGM National Harbor’s 308 rooms, including 74 suites, are a well-appointed getaway with floor-to-ceiling windows, rich wood and earth tones. 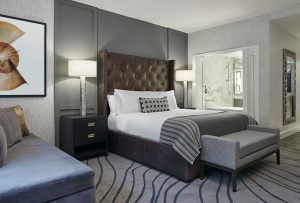 For a special occasion, guests can indulge in one of the property’s 10 luxury suites, including the 3,210-square-foot Chairman Suite, which features panoramic views; up to three bedrooms; kitchen, wet bar and dining room table for eight; a secluded library and optional butler service. In-Room Dining. Hotel guests can feast on the cuisine of James Beard Award-winning chef Marcus Samuelsson as he presents his first in-room dining experience. The Ethiopian-born, Swedish-raised celebrated chef revives American comfort classics with gourmet cuisine worthy of a heralded restaurant, yet specially crafted to be enjoyed in the serenity of guests’ private retreats. Entertainment. 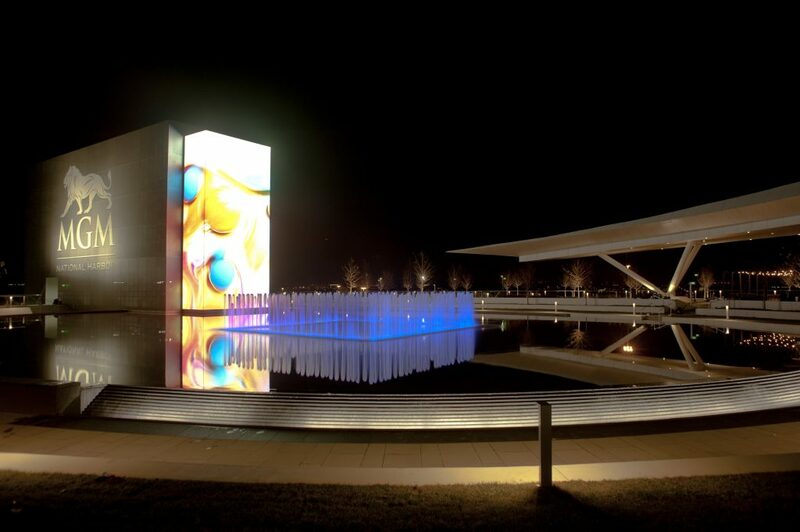 The Theater at MGM National Harbor is an entertainment venue designed by Scéno Plus showcasing a caliber of artists normally reserved for large-scale arenas in an intimate setting. The Theater’s initial lineup of A-list performers includes Bruno Mars, Cher, Sting, Ricky Martin, Duran Duran and Boyz II Men. 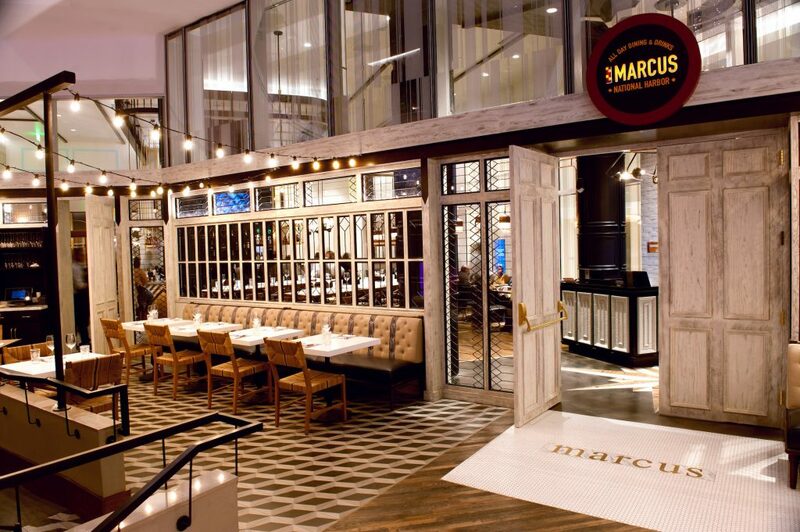 Marcus by Marcus Samuelsson. Samuelsson debuted his first restaurant in the Capital Region–Marcus–designed by Parts and Labor. Offering all-day dining selections, the restaurant celebrates classic American dishes with the chef’s signature twist, inspired by local Maryland ingredients and traditions. The beverage program also highlights local craft breweries and an extensive bourbon selection. The back of the restaurant features a French-colonial sliding door that opens up to Sammy’s, a prohibition-style supper club offering live musical acts reminiscent of Harlem’s blues clubs. Voltaggio Brothers Steak House. Voltaggio Brothers Steak House marks the first joint restaurant venture for brothers and proud Maryland locals chefs Bryan and Michael Voltaggio, known for their shared successes on Bravo’s “Top Chef.” Reflective of its namesakes, the Voltaggio Brothers Steak House concept by Design Bureaux mirrors the rooms in a home, with each reflecting a different personality. The menu features both familiar and nuanced offerings, including playful riffs on classic steakhouse fare. Fish by José Andrés. 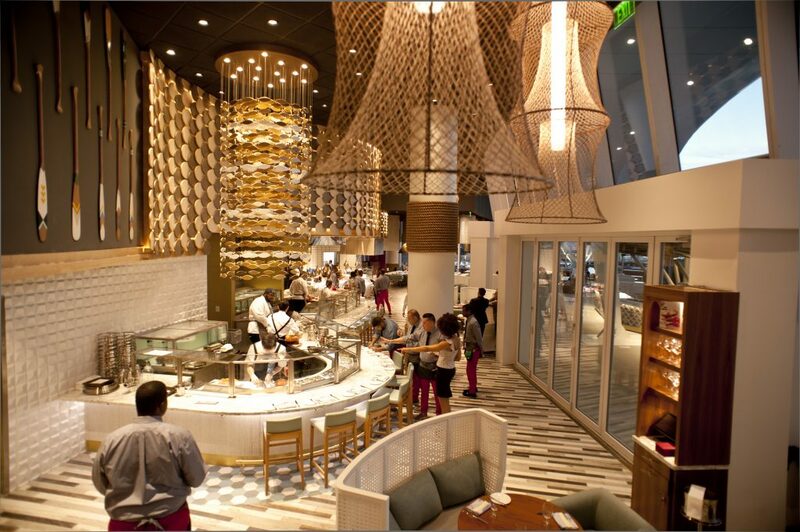 Featuring indoor/outdoor seating overlooking the Potomac, Fish by chef José Andrés is a unique seafood-focused concept. The menu at Fish encompasses local favorites like Maryland blue crab and Rappahannock oysters, while incorporating time-honored cooking techniques from around the world through the preparations of dishes such as Tuna Tartare and Lobster Jambalaya. 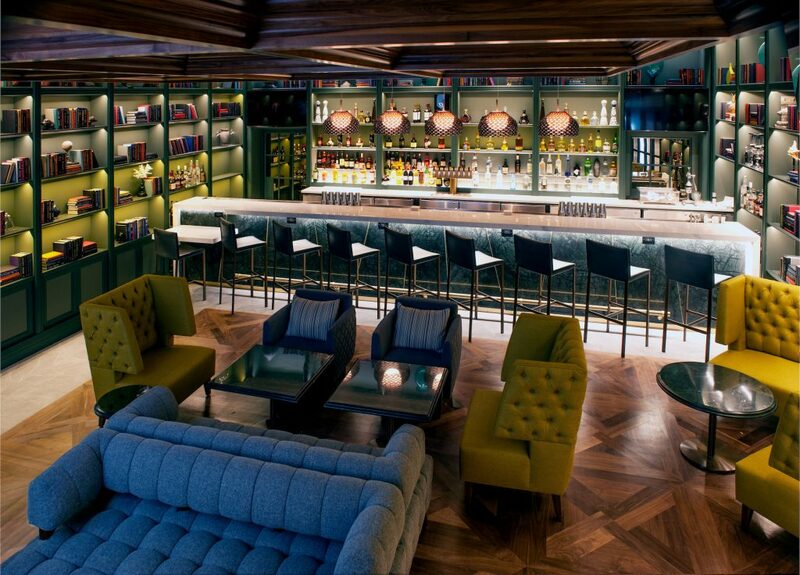 Guests also can choose from an array of innovative, hand-crafted cocktails and wines produced in regions known for the world’s best seafood. 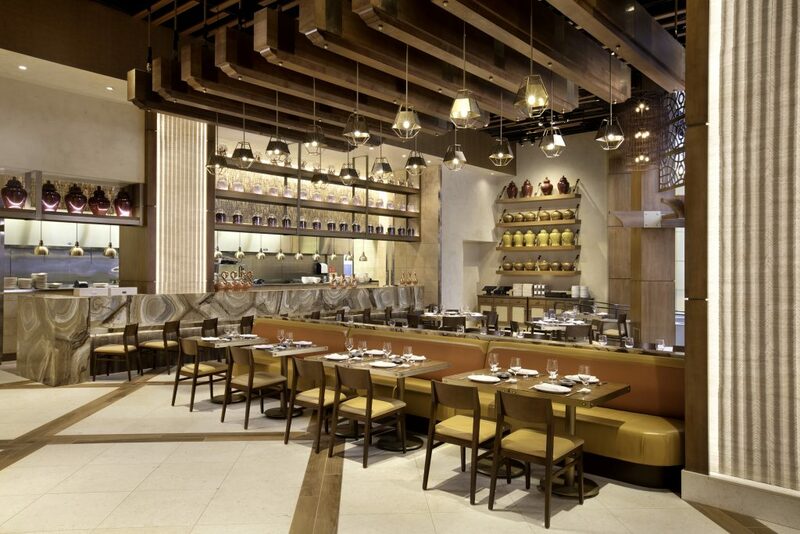 The restaurant was designed by Avenue Interiors and Capella Garcia. National Market. 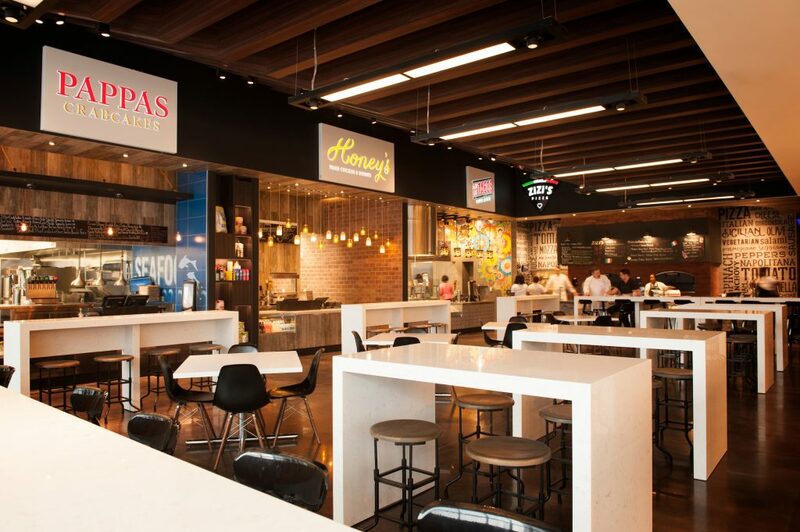 Inspired by outdoor urban markets where a variety of tastes, spices and culinary experiences can be found, the Marshall Moya-designed National Market is an authentic, intimate and casual setting that transports guests to an epicenter of good eats. For the Market, MGM National Harbor’s Executive Chef Jason Johnston created original dining concepts inspired by his global travels and family recipes including Amos Los Tacos, Bánh Mì Vietnamese Kitchen, District Deli, Bento, GWBW George Washington Beer & Wine, Honey’s Fried Chicken & Doughnuts, S’Cream and ZiZi’s Pizza, joined by Maryland staple Pappa’s Crabcakes and national favorite Shake Shack. Tap Sports Bar. 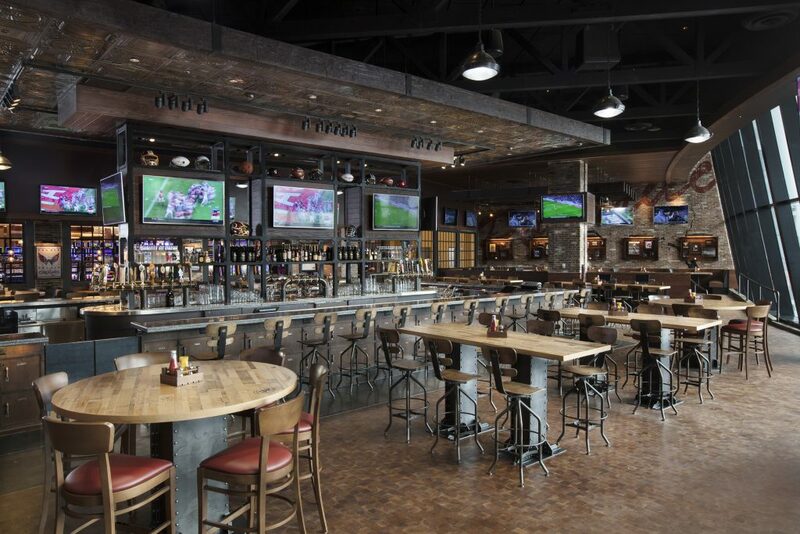 When dining at this high-energy restaurant and sports bar designed by Studio McCormack, guests can enjoy the latest sporting events on more than 90 TVs while surrounded by memorabilia from beloved local sports teams including the Washington Capitals, Washington Wizards, Baltimore Ravens, Washington Redskins and Washington Nationals. The menu features American sports bar favorites with a local touch, such as lobster beignets, Maryland crab soup, burnt ends BBQ pork baguette and Maryland crab cakes. Ginger. 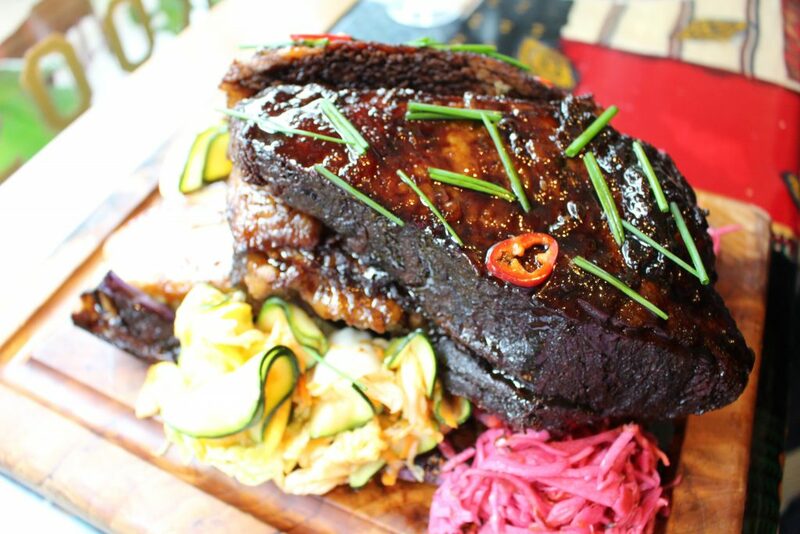 A Pan Asian restaurant, Ginger offers authentic cuisine from regions throughout the continent including Japanese, Chinese, Thai, Vietnamese and Korean. 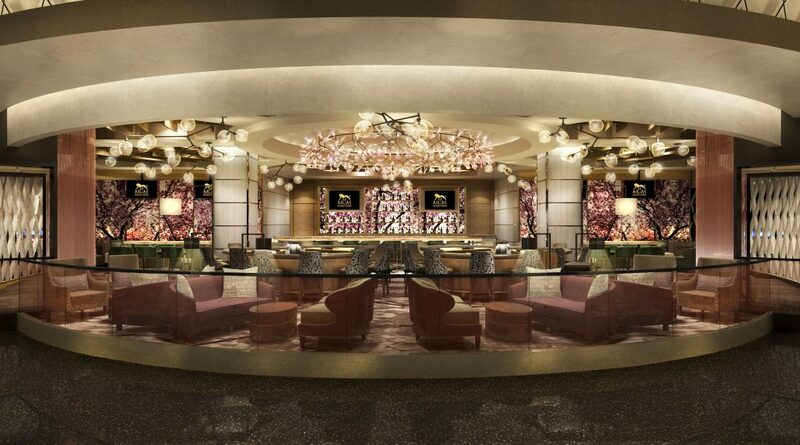 The concept was developed by a team of expert chefs from MGM Resorts’ Las Vegas properties and named for a common ingredient found in all Asian cuisine. Warm organic wood interiors by Studio McCormack create an inviting space to enjoy traditional dishes including dim sum, congee, curry, fried noodles and kimchi among many other offerings. Bellagio Pâtisserie. 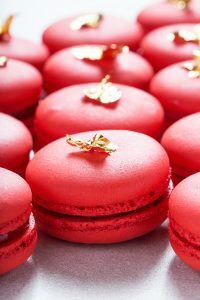 Paying homage to the iconic European-inspired pastry shop at Bellagio in Las Vegas, this wonderland of sweets created by world-champion pastry chef Sylvain Bortolini features pastries, danishes, gelato, coffee drinks and retail items. Guests also can enjoy an array of savory delights, from Caprese Paninis to Quiche Lorraine, in this whimsical spot created by Design Bureaux. Conservatory. The centerpiece of MGM National Harbor is a floral wonderland that spans 15,000 square feet and features flowers grown by beloved local nonprofit Melwood. The property has partnered with famed designer Ed Libby to conceive the seasonal exhibits for The Conservatory, including one specially designed for Lunar New Year. The current display, “Holiday Reflections,” features more than 150,000 flowers in a contemporary holiday scene. Art. MGM National Harbor’s Heritage Collection of art showcases commissioned and procured works by visionary local and international sculptors, photographers and mixed-media artists including Alice Aycock, Bob Dylan, Terry O’Neill, Margaret Boozer, Sam Gilliam and Ron Beverly among many others. The thoughtfully curated collection creates a bridge between art and entertainment integrating remarkable works throughout the resort’s public spaces. Spa & Salon. MGM National Harbor sets a new standard for the luxury spa experience in the Capital Region. 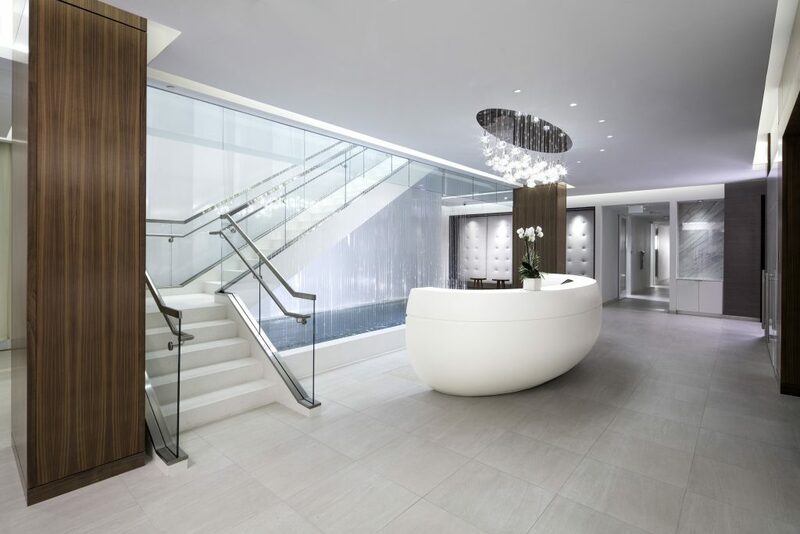 Spanning two floors and 27,000 square feet, the Spa & Salon is an oasis with an expansive menu of treatments and products designed by renowned spa and skincare brand Clarins. Guests can indulge in 11 treatment rooms; separate men’s and women’s spas, steam rooms and saunas; a full-service salon; deluxe fitness center; barber shop; and retail space all created by Daroff Design. 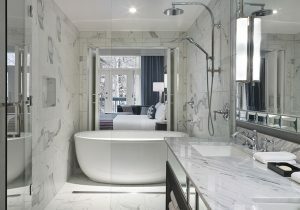 The Spa also features couples’ suites, hydrotherapy and a Vichy room for the ultimate weekend getaway. Nightlife. Boutique nightlife operator Clique Hospitality has brought the Las Vegas nightlife scene to the East Coast with two distinct venues by KNA Design: Felt Bar & Lounge, which offers the region’s first tableside mixology program; and Blossom Cocktail Lounge, a 24-hour gaming lounge that pays homage to Washington, D.C.’s iconic cherry blossoms. Casino. 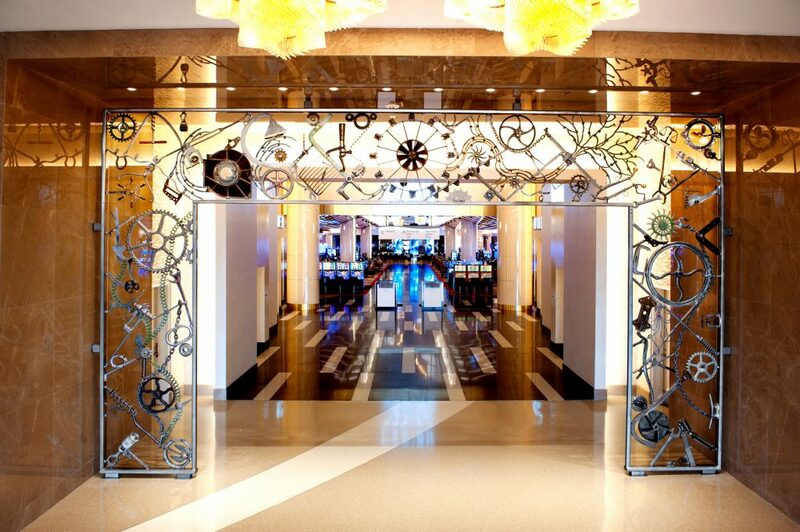 MGM National Harbor’s 125,000-square-foot casino floor by KNA Design houses 124 table games, 39 poker tables, 10 craps tables, 12 roulette, 25 variations of carnival games, 58 blackjack tables, 25 baccarat tables and 3,300 slot machines. 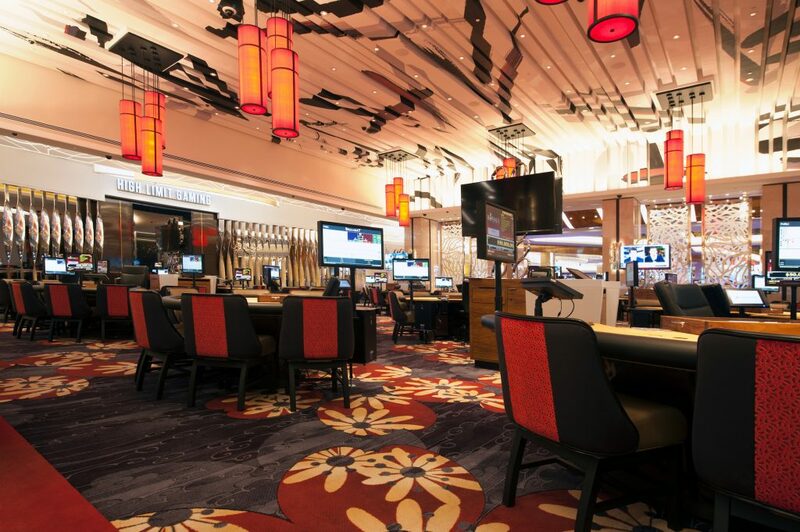 Guests can play first-to-market games, including a baccarat progressive, and enjoy a designated Asian gaming pit decorated with red lanterns symbolizing fortune and joy. Retail. The District is MGM National Harbor’s luxury retail corridor, spanning 18,000 square feet and offering first-to-market shops from celebrated brands and personalities, including Sarah Jessica Parker’s first standalone boutique, SJP, showcasing her coveted line of shoes and SJPLBD collection of little black dresses. Additional retailers include Las Vegas-born Stitched, local women’s boutique Ella Rue, designer sunglasses store Specs and world-renowned watch brand Rolex. Meetings & Event Space. 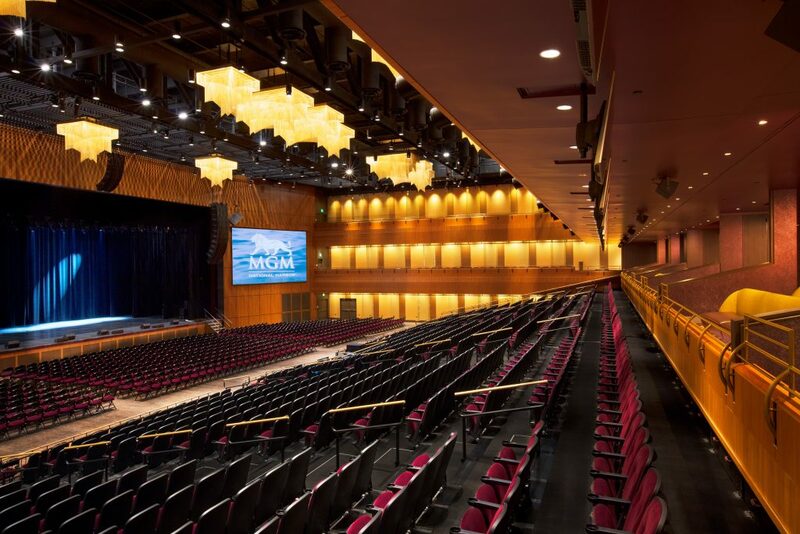 MGM National Harbor features more than 50,000 square feet of meeting and convention space by Studio Gaia designed to host events of all sizes, including small gatherings, business meetings, wedding receptions and galas. The 16,200-square-foot MGM Grand Ballroom houses a stunning vantage point of the Potomac River and a 6,000-square-foot terrace overlooking the surrounding landscape. Sustainability. 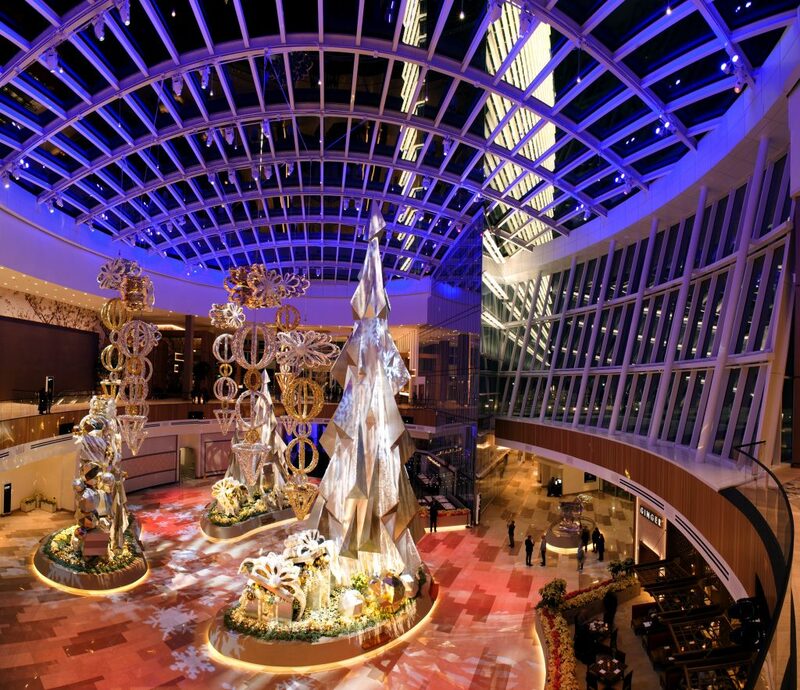 MGM National Harbor has achieved LEED Gold certification by the U.S. Green Building Council, making it one of only six casinos worldwide and the second building in Prince George’s County to achieve this status. Key sustainability initiatives include an underground cistern to collect rain water for landscaping and a co-generation system to help channel waste heat through a chiller, cooling the resort. Four Seasons Hotel Kuala Lumpur is planned to open in early 2018. 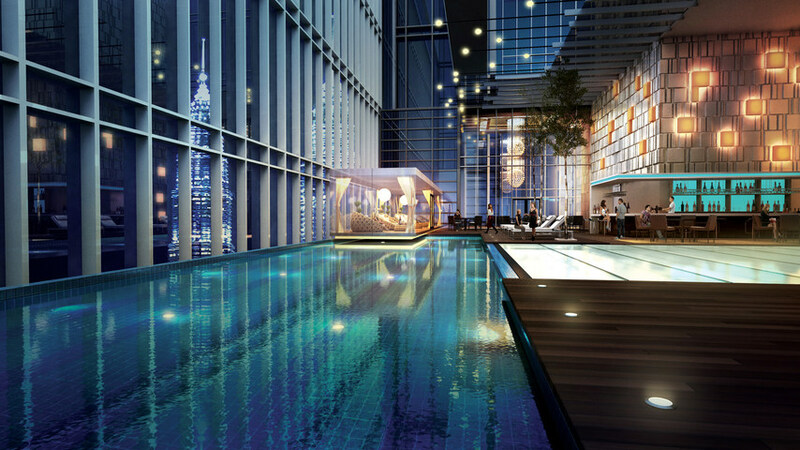 It will be the first Four Seasons hotel in Malaysia. Located in the heart of Kuala Lumpur’s Golden Triangle neighborhood, the hotel is part of a 65-story, mixed-use tower that will include 242 Four Seasons private residences, 27 serviced apartments, a 209-key Four Seasons hotel and a five-floor, 300,000 square foot luxury retail podium, collectively known as Four Seasons Place Kuala Lumpur. The hotel will be near some of the city’s major attractions, including the Petronas Twin Towers and the Kuala Lumpur City Centre. Four Seasons Hotel Kuala Lumpur will have a Cantonese restaurant, lobby and rooftop pool bars, and an all-day dining restaurant with views of the Petronas Twin Towers. 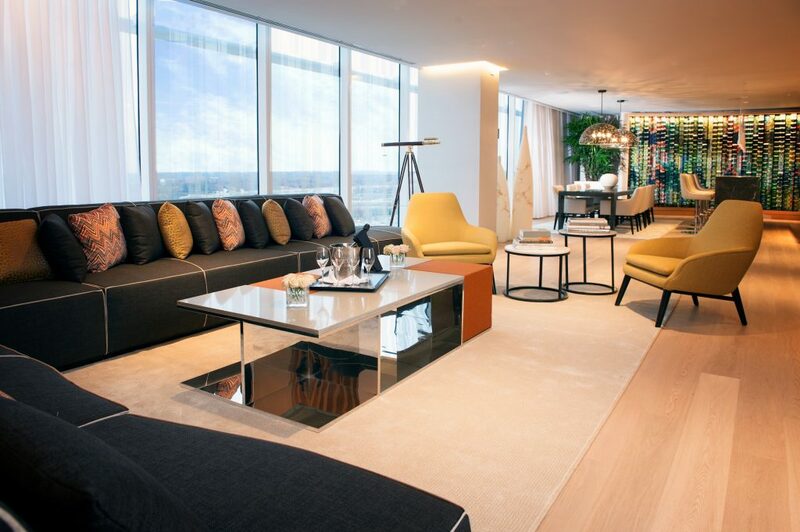 The hotel will also offer an executive lounge for business travelers, a spa, a fitness center and a rooftop infinity pool offering panoramic views of Kuala Lumpur’s skyline. 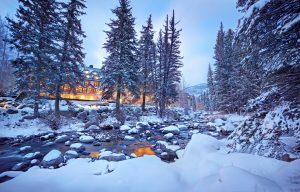 Vail Cascade Resort and Spa in Colorado will re-open in early 2017 as Hotel Talisa, Vail. The hotel’s new name Talisa is derived from the Native American name translating to “beautiful water,” and pays homage to the Southern Ute Indians, who are natives of the Rocky Mountain area. The hotel, which has 285 guest rooms, will remain under the management of Two Roads Hospitality. Laurus Corporation, a private real-estate investment and development firm, will oversee the hotel’s extensive renovations. 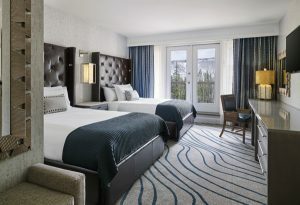 The upgrades include re-imagined guestrooms that will have unique textiles and design details, artistic lighting, free standing soaker tubs in spacious five fixture baths with sweeping mountain and creek views. In-room refreshment centers with delicacies beloved in the Swiss and Italian Alps will greet guests upon arrival or after a day of exploration. In addition to downhill and cross-country skiing and snowboarding, guests of Hotel Talisa can take part in a wide array of year-round activities, including mountain biking, kayaking, hiking, snowmobiling, and snowshoeing. 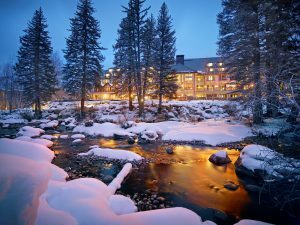 The resort will also launch the kid’s club Talisa Tykes; a pet-friendly program that includes specialty dining menu and in-room pet amenities; and private car and shuttle service to Vail Village and surrounding areas. Following the hotel’s grand opening, the Spa at Hotel Talisa will open and offer treatments such as mountain mud baths and body scrubs infused with botanicals found near Vail Mountain’s storied hiking trails. There is also a 58,000-square-foot adjoining athletic club and more than 40,000 square feet of meeting and event space. Air Canada is adding new non-stop services from six U.S. cities, beginning in the spring of 2017. Existing winter-only service from Phoenix to Vancouver is expanded to now operate year-round. UPDATE: On December 20, 2016, Air Canada began offering non-stop service between Toronto and Port of Spain, Trinidad. 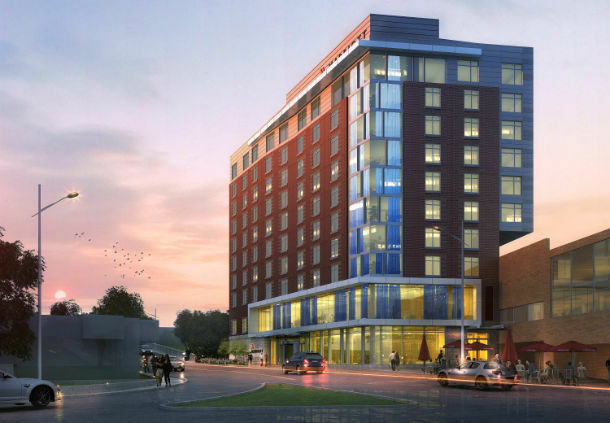 Ithaca Marriott Downtown on the Commons has opened at 120 South Aurora Street in Ithaca, New York. The hotel, which is a joint venture between Urgo Hotels & Resorts and Ensemble Hotel Partners, is a 10-story building with 159 rooms. The hotel has a newly renovated pedestrian indoor and outdoor mixed-use development and entertainment district anchoring the downtown core, the hotel is less than a mile from Cornell University and about one mile from Ithaca College. Ithaca Marriott Downtown on the Commons is managed by Urgo Hotels & Resorts. The hotel has 2,320 square feet of meeting and event space. The largest is the Gorges Ballroom, which can hold 175 for receptions. Wailea Beach Resort – Marriott, Maui has revealed its $100 transformation. The changes to the Hawaii resort include a re-imagined arrival experience; six new dining options, including Humble Market Kitchin by Roy Yamaguchi; three new distinct pool environments; and 547 redesigned rooms and suites; and the modernization of all indoor/outdoor meeting and event spaces, fitness center and spa. Each room now has new furnishings and enhanced in-room technology, including personal device mirror-casting, custom music streaming, and personalized Netflix and Hulu content. Every room has an outdoor lanai (balcony), while 62 ground floor rooms feature extended lanais, offering guests a seamless indoor/outdoor living experience. Humble Market Kitchin by Roy Yamaguchi has an internationally influenced, Hawaiian-inspired menu. Perched on one of the highest points at the property, the resort’s signature restaurant offers indoor/outdoor dining, panoramic ocean views and a design influenced by the surrounding mountains and enchanting sea. Kapa Bar & Grill is for guests who want to gather poolside with captivating views of the ocean. The menu, is inspired by Hawaii’s natural and sustainable resource. 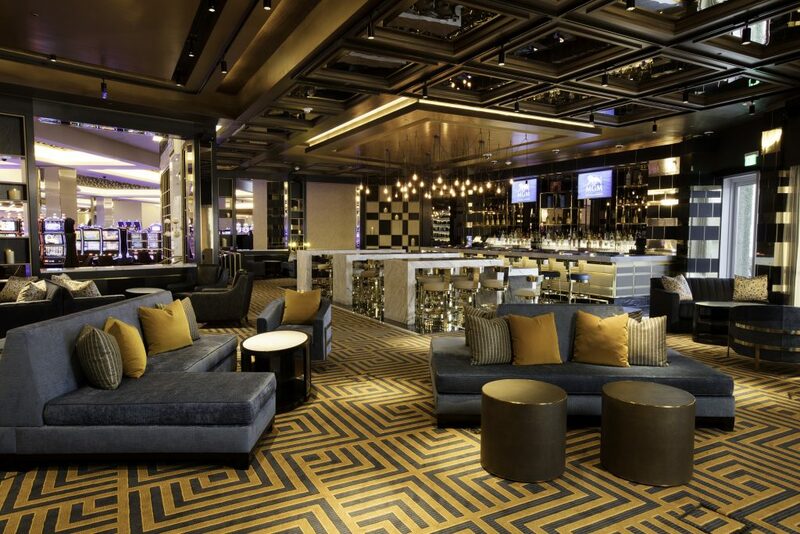 The vibrant bar and lounge features entertainment amenities such as billiards, shuffleboard, gaming stations and large screen TVs. Whale’s Tale is a casual beach bar that offers morning and afternoon refreshments and evening craft cocktails. Mo Bettah Food Truck and Nalu Pool Bar have grab-and-go options, kid-friendly favorites and local treats, such shaved ice and poke. Nalu Adventure Pool is a new, two-acre pool complex offers a fun-filled experience for families and kids of all ages. This pool area has four water slides, two of which measure 240 feet and 325 feet respectively, with the latter dropping five-and-half stories and measuring as the longest water slide of any resort in Hawaii. There is also new interactive splash zone, with water guns, spraying sea mammal sculptures and bubblers. Nalu Adventure Pool has Dive Pool, a distinct space for scuba certification, diving, snorkeling and other water-sports instruction. Maluhia Serenity Pool, for adults only, has over-water private cabanas, casabellas for two and luxury chaise lounges. The iconic space holds multi-level pool decks and presents unobstructed panoramic views of the Pacific Ocean. 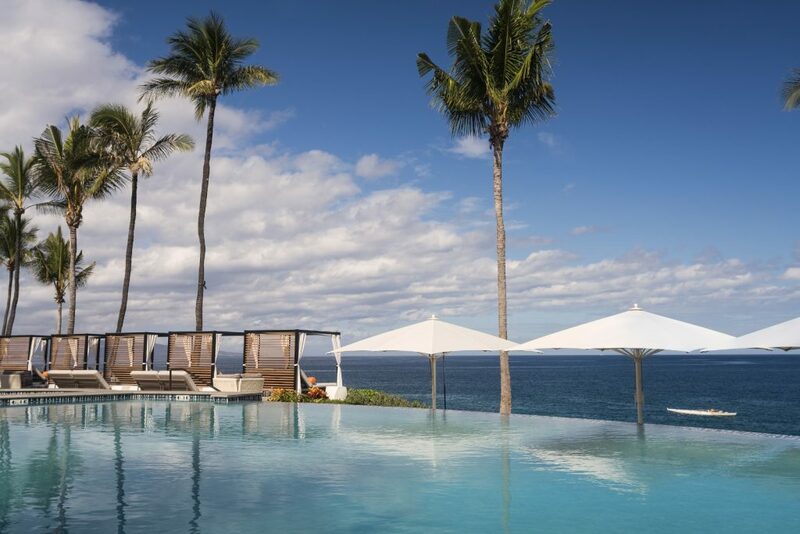 ‘Ohi Pools: The resort’s two new oceanfront pools have two whirlpool spas and numerous ocean-view cabanas surround the pools and present an ideal way to reconnect with the water. 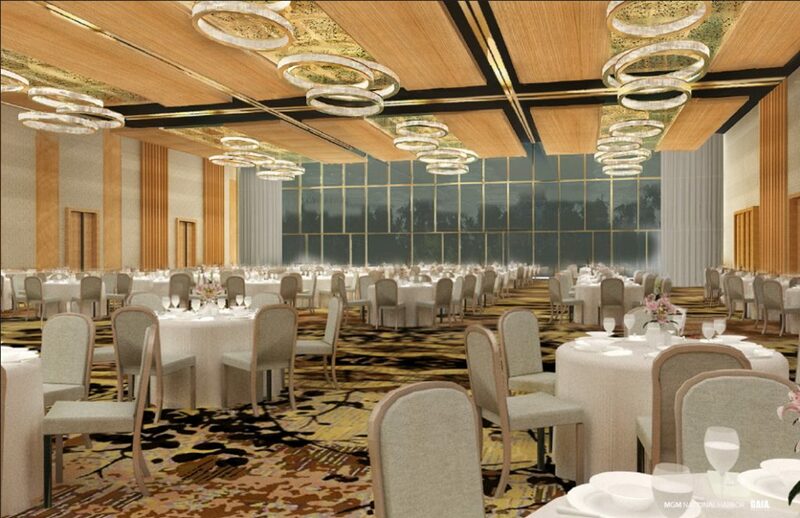 New and modern event spaces offer 30,000 square feet of indoor meeting and function space, along with 72,000 square feet of outdoor event space, including the Makai Oceanview Ballroom. Each event space has enhanced Wi-Fi and a dedicated team that can customize audiovisual needs for each event.